Moving day is stressful enough, why make it more difficult than it needs to be? One of the biggest favors you can do for yourself and professional packers and movers is to plan ahead and be well-prepared. We’ve had a range of clients on the preparedness scale. After years of noticing where moving day stress comes from and ways to mitigate it, we thought it would be helpful to share this insight. Here is a quick list that you can reference as moving day nears. One of the best things you can do for your future self is to purge all the things you no longer need. This will make your life easier when it comes time to pack up and move. It can be difficult to part with some items, but once you start sorting through your closets, drawers, and storage spaces, you’ll find that it gets easier and easier to discard old unused items. You can take these items to thrift stores, charities, or even host a garage sale. For more expensive items, you might consider selling them on eBay or Craigslist. Who knows? You might be able to raise enough cash to pay for your movers. There are some items that you either won’t want on the moving truck or the movers won’t allow. For instance, your heirloom jewelry or China is an example of this. These items may be too high value for the mover’s insurance policy. Or, maybe you prefer to move certain items yourself, rather than with the moving company. To avoid any potential mishaps, put these items on a “no pack” list. When the movers and packers come to your home, you can discuss these items with them. Professional packers will be happy to let you know how to best proceed. When you’re getting ready to move and are sorting out which items to take and which to donate or sell, start taking inventory of what you own. This process will help you understand exactly what you own and might prevent future duplication or misplacement. As you take inventory, you can also sort your items into appropriate piles for when the movers arrive to pack your belongings. Once you’re in your new home, you’ll have a comprehensive list to ensure that everything made it to the new place. Having an inventory list will provide you will piece of mind during your move. Another precaution you can take to protect yourself is to take photos of your possessions prior to a move. Make sure you do this with wooden furniture or any breakable items. This way, you’ll have a clear record in case anything is damaged. It’s important that your camera includes a time/date stamp on the photos so that you can verify your damage claims. Taking photos of your possessions is also helpful when it comes to setting up rooms or cables. Using these photos as a guide will help you put everything back together once you move into your new place! Unfortunately, professional packers don’t pack everything. Items such as combustibles and houseplants are typically off limits, so make plans for them prior moving day. Consider whether to part with larger houseplants and find a way to dispose of excess cleaning products, or engine fluids in the garage. Taking the time to organize these items ahead of time, will help lower your moving day stress and help out the packers. We offer packing, moving, and storage services for the Greater Portland Metro and the Oregon Coast. 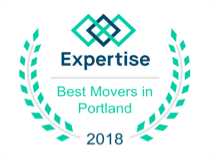 Priority Moving employs some of Portland’s most professional movers and packers; If you need assistance with an impending move, give us a call, we’d be happy to help.